Bethesda's The Elder Scrolls IV: Oblivion is chock-full of secrets and codes you'll want to pay attention to, especially if you're someone who ends up playing a whole lot. One of the more interesting things you can change is the actual weather patterns in-game. This can be done with a series of cheat console commands that we'll go into later on in the article. Oblivion is basically a game that comes with a series of tweaks so it's practically asking and begging for you to alter the game however you choose. In order to change these things, you'll want to have previously read our article on how to implement cheat commands via a console. It's a very simple process. But before you get started to make sure you understand what it is you're changing and what it is you're looking for so as not to mess things up for yourself! 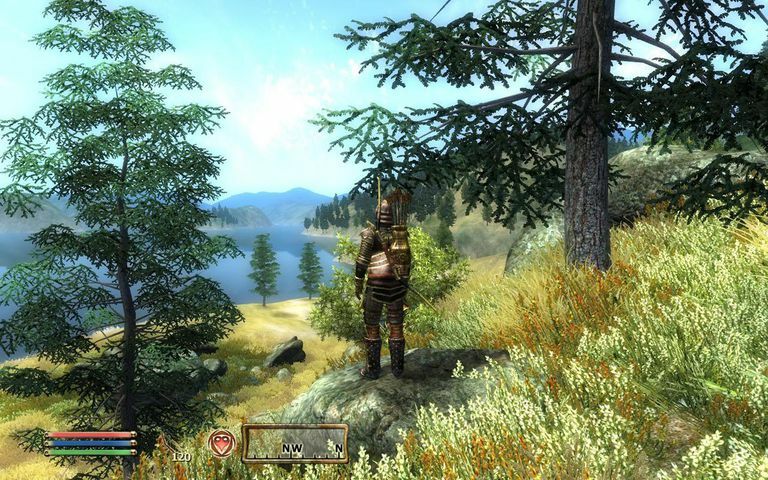 You can use the console to modify the weather in Oblivion — say you want it clear to see a great view or the Oblivion Storms are destroying your framerate, but you need codes for the different types of weather. Call up the cheat console with "~" and enter "fw #code#" (where #code# is a hex code from below) to switch weather instantly and "sw #code#" to switch it naturally. If you add ",1" after the code (the weather over-ride switch), the weather will stay like that until you either change it manually with fw or sw again, or you enter the code "releaseweatheroverride". Dismiss the console again with "~". This should be most of the technical stuff you'll have to take care of. If it doesn't make sense, be sure to check our article on how to access the command console with special instructions for PC. This isn't really something we would recommend simply messing about with unless you know specifically what you're doing. Luckily you can always just start over if you happen to make a mistake! The weather codes for Oblivion are as follows. If you happen to discover any further codes, definitely let us know -- if you have any sort of modding talent, you can even create your own as well as your own skins and other items! The names of the weather types are pre-programmed, so I've given them as is, but they don't seem to work with the console - you need to enter the Hex Codes listed next to the weather type. The Hex Codes are color codes that you can actually learn to use in other situations, and they're used in things like web design. If you're learning cheat codes you might be able to use these codes in other areas of your technical life as well! Enjoy changing up the weather across Oblivion and see if it changes things up for you in a significant way. See the rest of the Oblivion codes (over 14 categories of them) here: Oblivion PC Item Codes. Or, look at the Oblivion PC Cheats, Hints or Walkthrough pages. Oblivion weather codes submitted by Tim D.
If you have another cheat for this video game please ensure you sent it our way and we will add it to our video game cheats index. There are several different types of cheats we host on the Lifewire.com tech section, including detailed walkthroughs, suggestions on how to handle specific sections of video games, and more. If you ever see something that we need to update, please feel free to reach out and let us know.